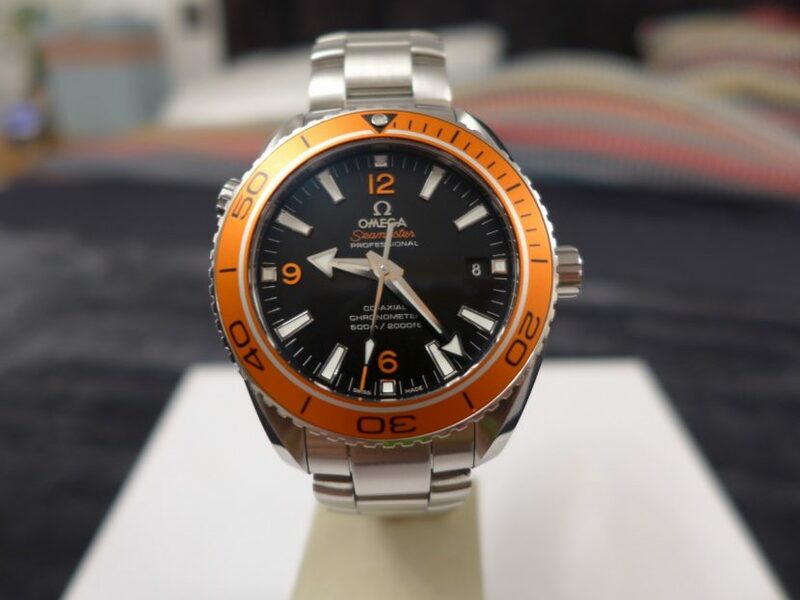 The Omega Seamaster planet Ocean 600m co axial reference 232.30.42.21.01.002 this is a current model on the market which is 42mm in size and comes in 45mm too. 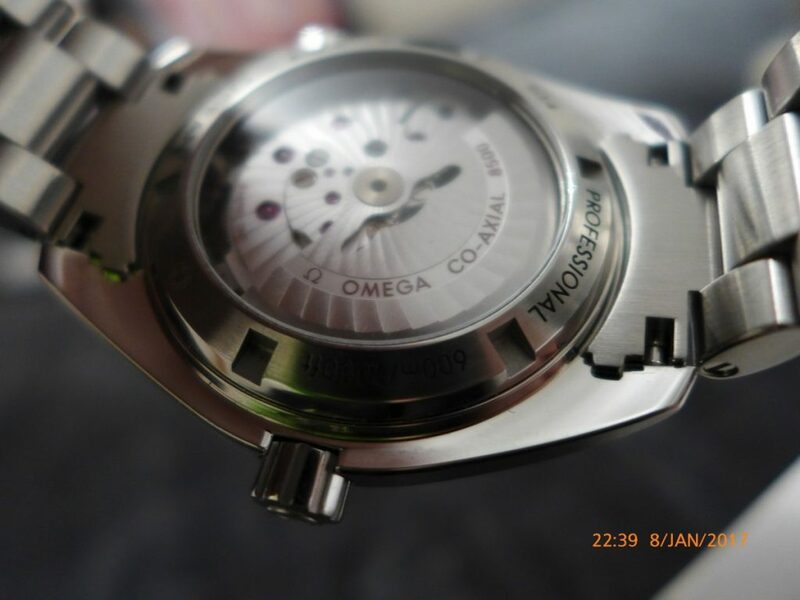 The Omega has a calibre 8500 co axial movement bulletproof in-house movement by Omega. 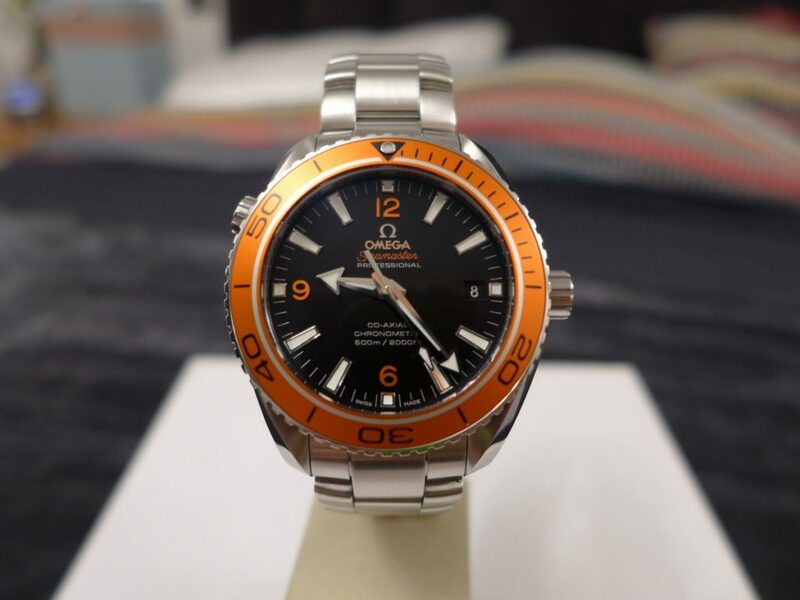 The orange bezel always stands out as a Omega planet ocean and is very distinctive to a watch enthusiast I have always notice them on the folk wrists in passing. 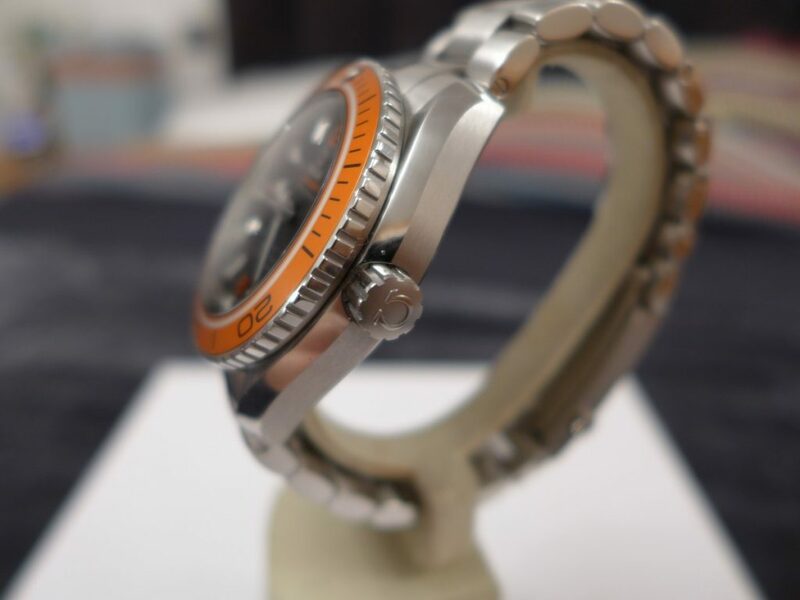 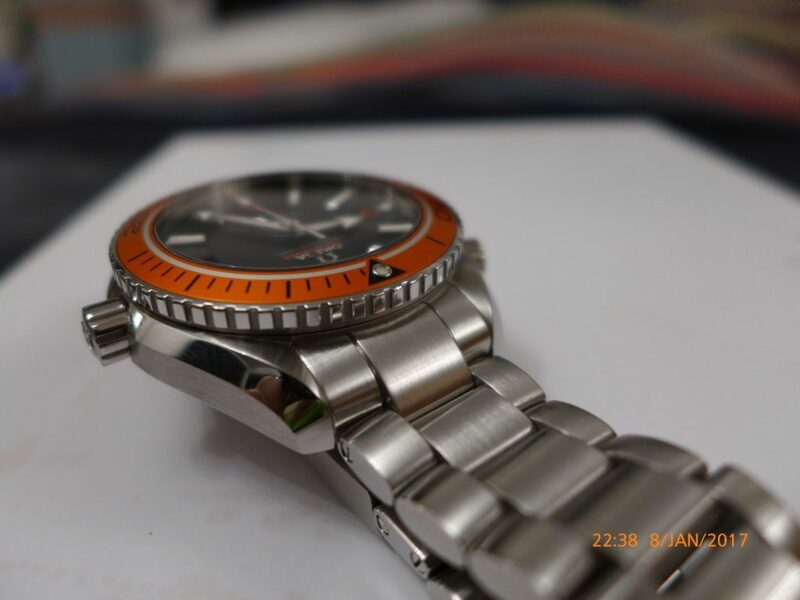 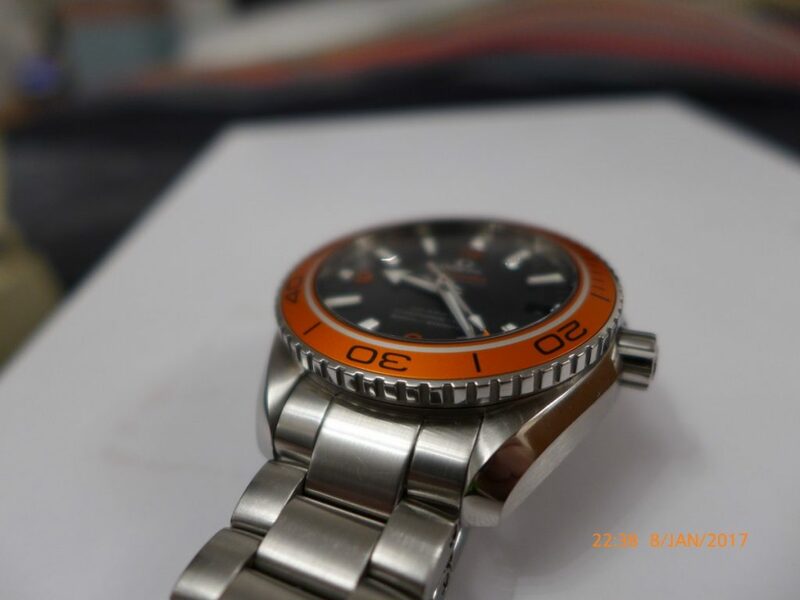 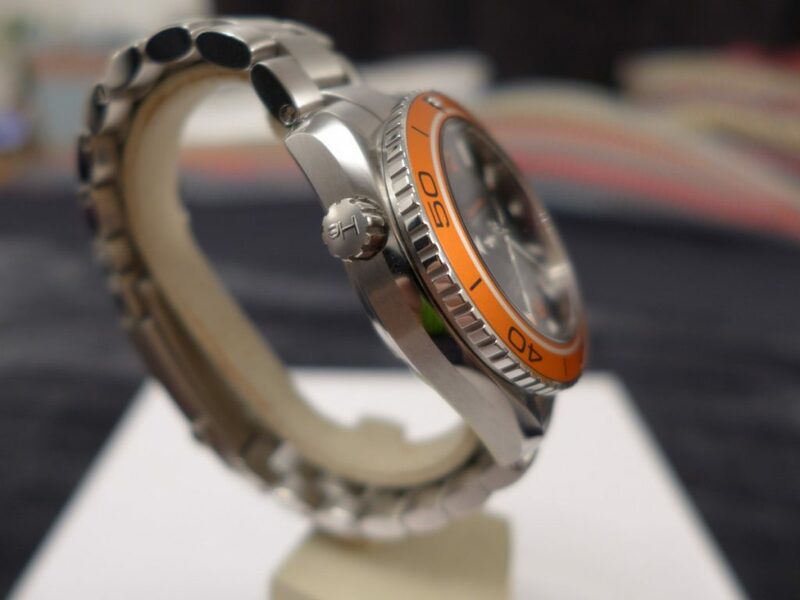 The orange bezel as most people think it is made of ceramic like most of Omega current models, that is not quite correct unfortunately Omega could not get it right manufacturing ceramic bezel with the orange so they sacked the idea. 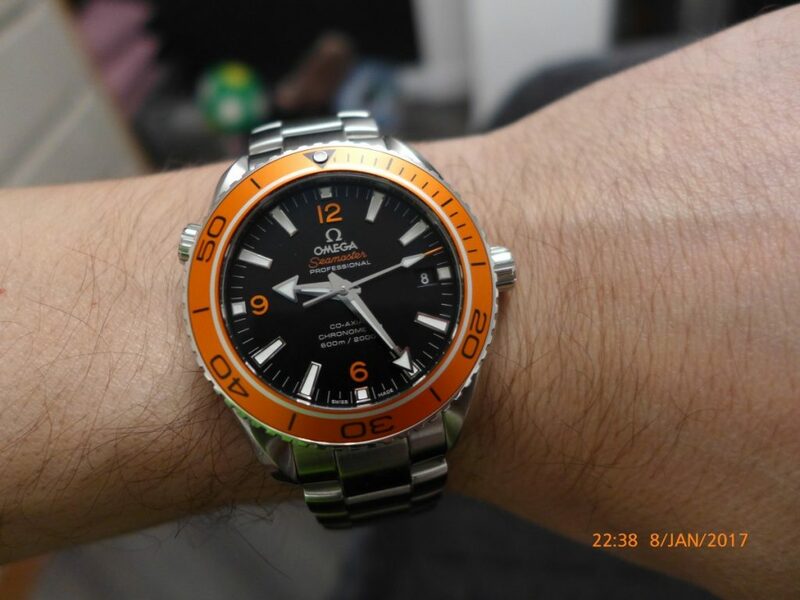 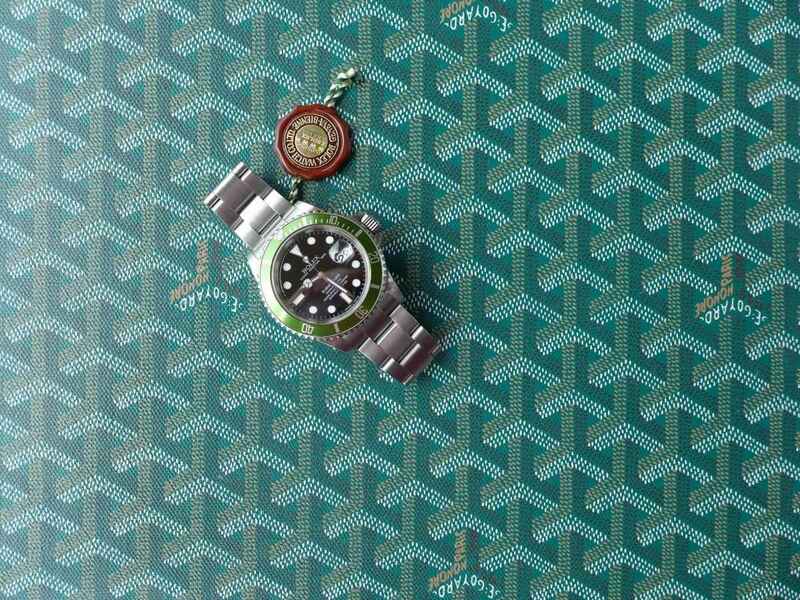 The black version of the same watch are ceramic thou, do love the planet ocean with orange bezel water resistant to 600m with stunning see through caseback always a nice touch with many swiss watches although cannot actually see the caseback on the wrist. 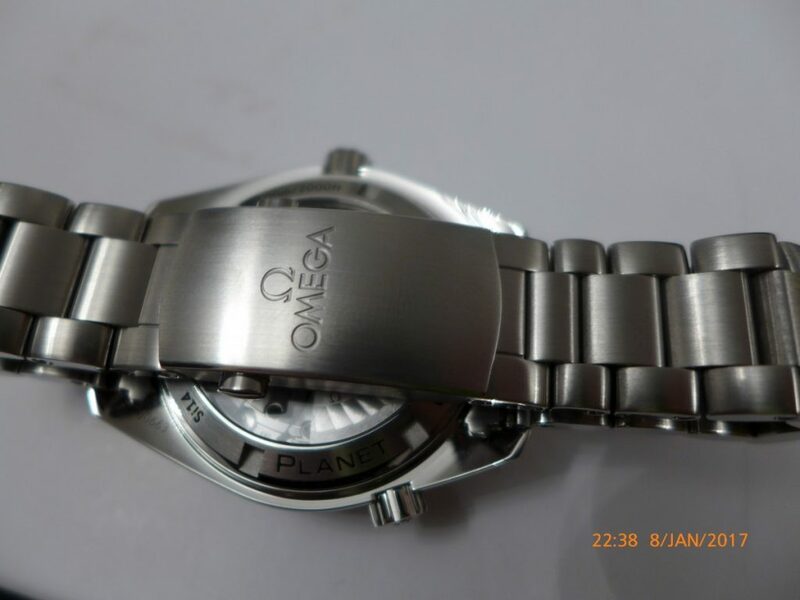 Omega has scratch resistant sapphire crystal and the finish of the watch is brushed steel with polished shoulders a tad heavy the watch is, the chronograph versions are very heavy indeed. 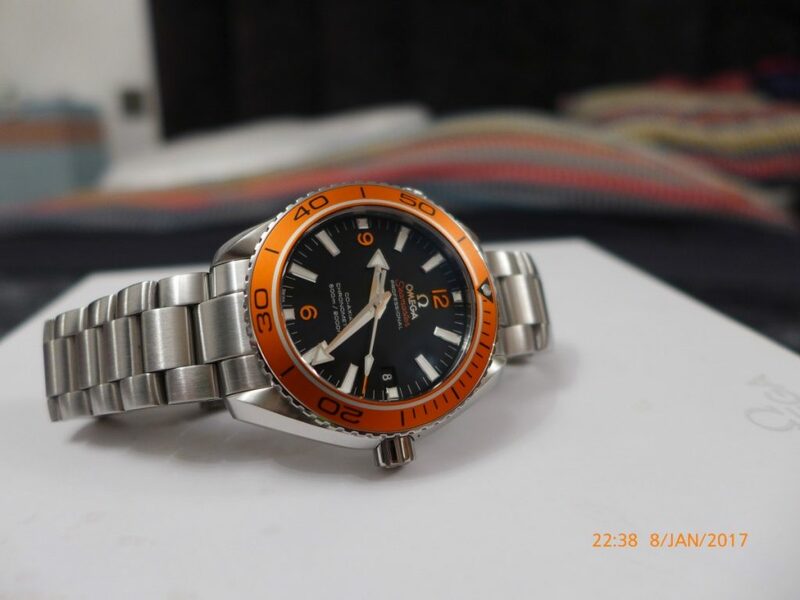 Overhaul the Omega seamaster planet is well respected great everyday watch and great value on the used market and I think if you love watches you after to try one.